Stars of Export, an Egyptian company has been specializing in selling onion and garlic since 1992. They started exporting garlic to Greece in 2015. According to Ahmed Adel, marketing and sales at Stars of Export, “A lot of other companies have been reluctant to do business with Greece in the past because of its financial crisis. These companies are afraid of not being paid.” This kind of thinking by the majority allowed the Stars of Export to serve Greece’s demand for garlic. Ahmed says, “It is not difficult to export garlic to Greece. Greece is quite close to Egypt compared to Europe, it only takes around 3 days by sea for our deliveries to reach them. It also helps that there are a lot of Egpytians that live in Greece. Last year Stars of Export was the only Egyptian company that exported garlic to Greece. Ahmed says, “It was because of Stars of Export’s high quality and good pricing that allowed it to enter Greece garlic market and establish itself as a monopoly for a year or so. 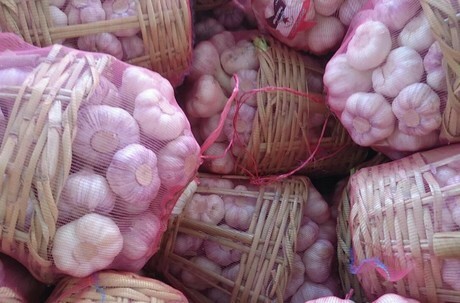 In recent years, our company has been experiencing more and more internal competition from other Egyptian companies exporting garlic to Greece. Lucky for us, these companies supply low cost but low quality garlic, which is completely different from our garlic." The company has increased its exports to Greece from 3 shipment containers in year 1 to 5 shipment containers in year 2. “Greece starts producing their local garlic in mid-June, which gives us a few months to ramp up our business efforts to grow our business in their shores.” Stars of Export supply green purple/red garlic starting February to mid-April and dry purple/red garlic from end-April to end-June.